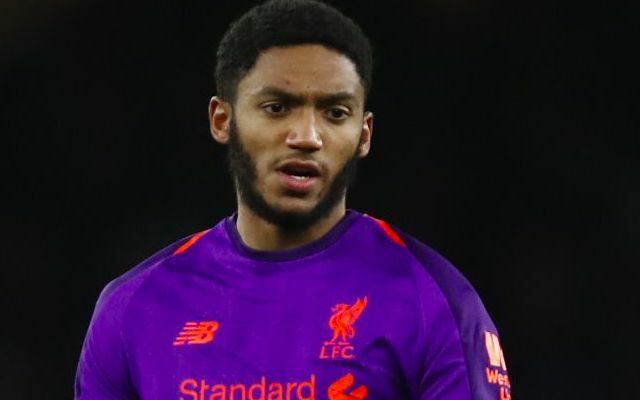 Liverpool fans have expressed their concerns after it was revealed Joe Gomez could undergo surgery on his fractured leg. The Englishman looks likely to miss another month of action having been sidelined since the Reds’ 3-1 win away to Burnley on December 5. Gomez had been tipped to return to training during the club’s recent warm-weather camp in Dubai, but has now seen his recovery put back even further. His extended absence is likely to see him miss the Champions League Round of 16 first leg against Bayern Munich, in which Liverpool will also be without Virgil van Dijk due to suspension. It marks the third significant injury the 21-year-old has endured during his time at the club, following on from season-ending knee ligament damage in his debut campaign and the ankle injury that saw him miss last season’s Champions League final. Van Dijk suspended for the first game against Bayern, Lovren injured again, Joe Gomez might need surgery. Really feel for Joe Gomez. Poor lad. Having such a fantastic season, and then this leg break happens. Wish him all the best for a speedy recovery. Joe Gomez out for February is possibly the worst time with our upcoming fixture schedule. With Gomez: conceded 6 goals in 13. Without Gomez: conceded 8 in 11. Even Lovren is still struggling with injury, I feel sick.